www.powerbassusa.com Â©2016 PowerBass USA Inc.
Sound International Auto Challenge Association the world, countries around Recognized in 34 car audio competition. IASCA is more than members and retail High-profile industry to push marketing ability it dealers use IASCA’s stores as well. When business to their IASCA is about helping comes to competition, required to improve you gain the knowledge sheets showing score your system, with their setup, strong points of competitors the for where there is room as well as showing improvement. in 1995, their first contest Beginning with to put fun and excitement dBDRA was created arena. sound competition back into the auto to date sanctioned events With over 10,000 the world, countries around in more than 40 car audio leader in serious dBDRA is an industry competition. electronics club and a mobile MECA is both a body The organizing contest organization. complete and competitions hosts car shows shows feature contests. Their with music and competition, including varying levels of Quality Show & Shine, Sound everything from and even a Pressure League, League, Sound which lighting contest Ride the Light specialty They night-time event. makes for a great Power Kids contest using even have a MECA Wheels toys! Want to win some awesome PASMAG gear ? 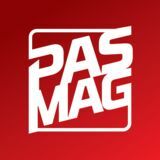 Send 10 CORRECT us the answe to this puzzl rs letters@pasmag e at .com for a chance to PASMAG Fanwin a Pack (T-shirt, Formul a 10th Anniversary Drift Photo Book, sticker s and some copies of PASMA G)! KENWOOD amplifies your Apple CarPlay experience! What makes Apple CarPlay better on a KENWOOD device? Android Auto works with devices using Android 5.0 software or higher. Some devices may not yet support Android Auto, see the Google site for the latest list of compatible devices. Android Auto and its logo is a trademark of Google Inc. Apple CarPlay works with iPhone 5 and newer phones. Apple CarPlay and its logo are trademarks of Apple Inc. Kenwood is a trademark of JVCKenwood Corporation. is the season to kick back and relax after running around in a panic, trying to find the perfect gift for everyone on your list, as you try to drown out the sounds of your wallet wailing in protest. Maybe you were also trying to drown out the sounds of terrible Christmas carol covers that retail stores are forced to have on loop for that next month or so. If you had an audiophile on your shopping list, or you yourself are the audiophile in question, but you didn't exactly get what you wanted, wrap yourself up in a cozy blanket by the fire with some nog and snuggle up to this issue. We’ll make buying the presents you actually wanted easy! working in his test bench, with eight fully-featured product reviews accounted for as evidence. Brand-new offerings from DD Audio, MTX, Audison, JL Audio, Kicker, JBL, Kenwood, and Memphis have been scrutinized and pushed to their limits, with the graphs and tables to prove it, so you can breathe easy while deciding where you should upgrade your in-car game next. Have your notebook and pen ready – you’ll want to make a wish list of sorts. Happy New Year from the PASMAG staff to you and your family! Let’s make 2017 even louder. S A L E S + A D M I N I S T R AT I O N DIRECTOR, AUDIENCE ENGAGEMENT Randi Bentia DIRECTOR, CLIENT SERVICES Richard Robles DIRECTOR, SALES & MARKETING Frank Maguire DIRECTOR OF OPERATIONS Craig Sweetman CLIENT SERVICES Nicole Winters SPECIAL PROJECTS EDITOR Anna Rutledge Performance Auto & Sound Magazine welcomes unsolicited contributions including stories (typewritten), photos, club news, events, etc. (Forward to PAS, 100A-219 Dufferin Street, Toronto, ON, M6K 3J1, Canada) Canadian Publications Mail Products Sales Agreement #40069655 PERIODICALS POSTAGE PAID AT NIAGARA FALLS, NY AND AT ADDITIONAL MAILING OFFICES. U.S.P.S. # 022-608 U.S. OFFICE OF PUBLICATION: 1855 Maryland Ave., Niagara Falls, NY, 14305 U.S. POSTMASTER SEND ADDRESS CORRECTIONS TO: Performance Auto & Sound, Box 1082, Niagara Falls, NY, 14304 Occasionally, we make our subscriber list available to carefully screened companies whose products and services might be of interest to our readers. If you prefer to have your name removed from this list, please write to us at the address below and include your mailing label. For any subscription inquiries, including change of address, call 1 (888) 564-SUBS. perception system and computing platform. way combined route in Las Vegas for CES 2017.
ter account suggesting a reveal at CES, and a spokesman confirmed it to CNET in late October. widely criticized due to its seeming lack of relevance to the company’s production car plans. dar and Lane Keep Assist cameras integrated with LiDAR technology. Consumer Electronics Show in Las Vegas in January. very first days of CES. on the roof, enabling it to look like any other car on the road. Wi-Fi high resolution audio streaming with improved Android/IOS App. Internal SSD unit to store your complete Hi-Res (up to 24bit/96kHz) audio files collection, taking audio quality beyond the CD standards. Digital output to build an Audison Full DA HD system. These and many more are the features which make bit Play HD the “European in-car HD media player of 2014-2015” as acknowledged by EISA. DD Audio Z-Wire Speaker and Power Cable DDAudio.com Your audio system is only as good as its weakest link, so don’t sacrifice the sound quality by using sub-par cables. The Z-Wire line features high strand count 100% tinned OFC and are built to AWG conductors specs. The line offers 12 and 16-gauge speaker cables and 0, 4, and 8-gauge power and ground cables. Clarion EQS755 $149.99 | Clarion.com The EQS755 is 1/2-DIN preamp with 7-bands of equalization built in. You have access to the main system volume level control, as well as fader and subwoofer level controls right from the front panel. An aux input for a portable media player or smartphone can be connected via a 1/4-inch jack right on the front panel. RCA or speaker level input is provided and the EQS755 will produce up to 8V of output. Jensen VX7021 Multimedia DVD Receiver w/ Built-in Navigation $349.99 | JensenMobile.com The VX7021 multimedia receiver offers built-in navigation powered by iGo Primo “Next Gen” navigation engine, featuring over 10 million POIs, US, Puerto Rico and USVI map data and text to speech. Other features include built-in Bluetooth, SiriusXM Ready, iPhone/iPod via USB, Pandora, AV Input, rear camera input, RGB front panel illumination, 6VRMS preamp outputs, 10 band EQ and SWC Ready (Requires PAC Adapter). Enjoy more entertainment options when you upgrade the music sources in your vehicle with HD Radio™, Pandora®, SiriusXM®1, and Spotify®. Put your mind at ease while on the road when you upgrade your vehicle with safety and convenience features including back up camera, navigation, rear parking assist2, and vehicle diagnostic information2. pioneerelectronics.com/car 1. SiriusXM Connect Vehicle Tuner and subscription to SiriusXM Radio required (sold separately). 2. Retained features may vary by vehicle. Check compatibility at maestro.idatalink.com. Maestro RR module and additional accessory cables required. PIONEER, and the Pioneer logo are trademarks or registered trademarks of Pioneer Corporation. Apple, CarPlay, and the CarPlay logo are trademarks of Apple Inc., registered in the U.S. and other countries. Bluetooth and associated logos are trademarks of Bluetooth SIG, Inc. HD Radio and the HD Radio logo are proprietary trademarks of iBiquity Digital Corp. SiriusXM and all related marks and logos are trademarks of SiriusXM Radio Inc. Android and Android Auto are trademarks of Google Inc. iDatalink and Maestro are trademarks of Automotive Data Solutions Inc. Pandora, the Pandora logo and the Pandora trade dress are trademarks of Pandora Media, Inc. used with permission. Spotify, the Spotify logo, and Spotify trade dress are trademarks or registered trademarks of Spotify AB used with permission. Copyright: 2017 Pioneer Electronics (USA) INC.
JVC KW-V820BT $699 | Kenwood.com Apple CarPlay Receiver featuring a 6.8-inch clear resistive touch panel, high-resolution audio, and iDataLink Maestro ready to seemlessly intrigrate into the factory sound system. Bluetooth telephone and audio streaming, dual USB ports and 3-band EQ are featured as well. Sony XAVAX100 $499.99 | Sony.com Get help from your smartphone on the road without taking your hands off the wheel. Apple CarPlay and Android Auto let you get directions, communicate with your contacts, and control audio playback using voice commands. Powerful 4 x 55 W amplification makes music sound clear and dynamic, even at high volumes. Pioneer AVH-4200NEX $700 | PioneerElectronics.com Pioneer’s latest multimedia DVD receiver, complete with 7-inch WVGA clear type resistive touchscreen display, Apple CarPlay, Android Auto, Dual USB and SD Card Slot – all packed into an attractive head unit. Rockford Fosgate Dead Skin Sound Dampening Kits From $25.99 | RockfordFosgate.com Dead Skin products reduce the resonating abilities of your vehicle panels allowing you to truly appreciate your music library the way it should be heard. With a material thickness just under 1/8-inches (1.5mm), Dead Skin is designed to be applied to most surfaces with little or no preparation, is highly flexible and cold formable to irregular surfaces so no heat guns are required. $1,399 | Mosconi-America.com The 8to12 Aerospace is proudly designed and built in Italy. It has eight inputs, with 12 channel outputs and offers two digital inputs and an optical output. It is the only processor that works with 192khz/24bit resolution internally throughout all stages. It has the power to do 120db/oct. slopes, along with many crossover types to choose from. The powerful auto source selector is standard on the 8to12. “This was our fifth year being part of the Unified Finals Championship,” Sabourin continues. “Working with great people, like Wayne and Celise Harris from dB Drag Racing and Steve Stern from MECA, along with their judging teams, has proven to the industry that our collective goal is the betterment of our industry; we’re proud to be part of the event. From the orgs to our industry members who supported us, we are looking forward to continuing this partnership for many years to come.” Title sponsor Alphard Sound Technology was on hand to show off their full lines of Machete and Deaf Bonce line with shelves full of products. Full Throttle featured Leslie Killian's lifted, show-stopping Ford 4x4 and Matthew Karlovic's Mazda built for sound quality. AAMP of America brought an Escalade stuffed top to bottom with Phoenix Gold, while MMATS brought out their SPL demo van. In the Audio booth were two sound quality demo vehicles, winning multiple awards during the weekend. Other supporting vendors on hand were Beyma, Boom Mat (Design Engineering Inc.), DD Audio, Hybrid Audio Technologies, Incriminator Audio, Linear Power, Ohio Generator, XS Power, Dad’s Custom Car Audio, and Audio Specialists. With close to 300 vehicles competing at the event, the Unified Finals Championship took up two of the main buildings at the venue, including the Pavilion and the Broadbent Arena. There were also competitors staged outside due to overflow and the logistics of the event went off without any major issues. In the sound quality building, there was no shortage of spotless vehicles with stunning installations featuring a lot of LEDs, plexiglass, and motorization. In the Broadbent Arena, SPL competitors were lined up across six lanes, making spectators feel the bass through their entire bodies. IASCA’s top award, the Triple Crown, given to the vehicle with the highest combined score of sound quality and installation, was won by Dan Merritt and his Dodge Charger. Loudest in the IASCA SPL lanes was Andrew McCain’s DD-Audio-filled Chevrolet Astro van with a score of 170.6 dB! An IASCA satellite location was held at Sight and Sound Audio Connections in Centralia, Washington, for IASCA SPL events. Scores were combined with those in Louisville to determine the North American Champions in each class and division. Although the Centralia location experienced a rainstorm most of the day, competitors and spectators enjoyed the event late into the evening. A special thanks goes out to all the IASCA judges who worked diligently throughout the weekend. In SQC and IQC competition, the team comprised of Head Judge Travis Chin (WA), Keith Turner (VA), Tim Goudy (AR), John Sketoe (AR), Jeff Smith (FL), and Christerfer Pate (TX). The IASCA SPL Judging team consisted of Head Judge Aaron Dunkle (FL), Tony Economou (FL), Scott Sinde (IL), and Brandon Rosser (MI). Thanks also goes out to the registration and administration team, including Kim Sabourin (FL), Terry Floyd (AL), Kim Cook (AL) and the Judges spouses, Chelsea, Elizabeth and Jessica who also helped out with set up and worked hard at the show over the weekend. The highlight of the 2016 competition season has finally come to an end with the North American Championship wrapping up. This event takes place in three separate locations with the main event located in Louisville, Kentucky and satellite locations in Sacramento, California and Spruce Grove in Alberta, Canada. Competitors traveled in their vehicles or with competition vehicles in tow from up to 2,000 miles away to attend the finale of the competition season. Both Canada and Sacramento locations were outdoor and plagued with horrible weather, but that didn't slow anyone down from making the event. One hundred and twenty-five total dB Drag competitors came together for a head-to-head battle of the loudest vehicles on the planet. Live streaming computers were setup and competitors from all over the North American continent were staged in the lanes against each other live via the internet or head-to-head in their respective locations. The all-new RD amplifiers are now available. The dB Drag organization is divided into four major classes of competition: dB Drag, Bass Race, Psychlone, and Top Dog. dB Drag is the largest of the events where competitors go head-tohead for the loudest scores. Bass Race is a competition of system control and competitors are set up to compete up to a certain volume, but not exceed that volume over a 30-second period. Psychlone is a daily driven ground pounder competition that awards points for installation, frequency response between 20 to 20,000 Hz, and lowest and loudest musical average. Top Dog is a mixture of Bass Race and Psychlone, where competitors go head to head to maintain the highest overall average and gain points per 30-second run against their competitor. The event was full of tie-breakers and time extensions due to the high turnout in each class. This is an exciting event to participate in because throughout the entire season competitors practice from show to show gaining points to perfect their skills and improve scores for the final show. Competitors arrive with extra subwoofers, amplifiers, and batteries just in case of a failure, which has become a pretty normal occurrence at the last show of the year. Vehicles are pushed beyond the limits with doors almost ripping off from 10,000- to 100,000watt sound systems, windshields shattering and folding inward, and vehicle sheet metal tearing apart from the continuous bass. Like many forms of competition, it is a very friendly environment with many head-to-head competitors being close friends. There is an amazing amount of teamwork involved and overall the competition crowd is more of a family of likeminded car audio enthusiasts than archrivals. Competitorsâ&#x20AC;&#x2122; families bring out their barbecues and cook on site for the crowd, everyone lends a hand when equipment has trouble, and the atmosphere is laid back and relaxed. From the standpoint of a competitor, it is one of the most exciting competitions out there. Each year more experience and knowledge is gained to move forward and come back the following year for another shot at a championship ring. True, deep bass, made to fit. Using revolutionary Reflex-Subwoofer™ technology, KICKER has developed the perfect box for fitting behind your seat. ship in the most advanced class, Extreme, with his incredible 70-plus-speaker mobile music van. Dueling Demos is a loud music contest, with bumper to bumper challenge matches in 3 classes, based on system complexity of design. "This was the best Finals we've had in years, with speedy, spot-on judging, and a great cooperative spirit among our competitors, and with the other organizations,” noted Commissioner Steve Stern, event director and coordinator. “Thanks to Linear Power Ohio Generator and XS Power Batteries for their support as co-sponsors!" Bud Ballinger (KY) was the SPL Head Judge, with wife, Shannon, and daughter, Salena Sexton, helping in the lanes. Joe Ault (OH), Allan Shaffer(TN), and Cory Harrod (KY) rounded out the SPL Judge Team. The SQL Judge Team was headed by Vinny Taylor (TN), with Matt Roberts (NC), Linda Kobayashi (CA), Richard Papasin (CA), Heather Shaffer (TN), and Grace Hedrick (SC) acting as Scorekeeper. Scott Welch (Team Audio Intensity/Hybrids), from Vacaville, CA, won the Sound Best of Show, to be inscribed on MECA's Culbertson Cup, with the best sounding system. Robert Corwin (Team Audio Specialists/Ohio Generator) from Powell, OH, won the Sound Quality League Best of Show, the best overall scores in SQ, Install, and RTA Freq Output. Anthony Davis (Team Hybrids) from Greenville, NC, earned the SQL Install Best of Show with an innovative dashboard design. Mike Flanagan (Team Linear Power/Sundown) from Byram, MS, was the overall Best of Show winner with outstanding performances in SPL and SQL contests, taking the seven-foot trophy home. Wes Strickland (Team High Voltage/IAK) from Bristol, TN, earned the Sound Pressure League Best of Show 6.5-foot trophy for best combined Sound Pressure and Park & Pound Scores. Wes Stricklandâ&#x20AC;&#x2122;s granddaughter, Maddie Carmody, (Team High Voltage/IAK) was the MECA Kids World Champ in Sound Pressure, Park & Pound, and Dueling Demos for kids. Jeremy Kough (Team dB Revolution/Sundown/XS Power) from Auburn, KY, was the Sound Pressure Best of Show with the highest score at 173.29 dB. Eric White (Team Devious Kustomz) from Alexandria, VA, earned the Show & Shine Best of Show with his highly evolved Camaro. DD Audio 3510-ESP Subwoofer Review A no-compromise woofer that provides incredible bang for the buck, with emphasis on the bang. ome people agonize for months over their choice of subwoofer. Do you go more sound quality or SPL? High power handling or high efficiency? Sealed or vented? Well, if you ask the folks at Digital Designs, they’ll tell you that you don’t really have to compromise. To prove the point, they sent us one of their amazing Power Tuned 3500-ESP series dual voice coil woofers. as DD Audio’s Extended Range of Motion (EROM) surrounds, but with flex ribs that allow it to retain its strength and shape even at the extremes of excursion. Audio power is fed into the coils via direct connection to 10-gauge copper cables. From there, it travels to the coils via high-current tinsel leads that are laminated in place between the spiders. A rubber gasket trims out the mounting flange of the woofer, and helps provide a good seal to the enclosure baffle. NOTE: There are also Hi-Def tuned versions available for those wanting a more compliant suspension. being applied regularly, and the folks in the business next door to my lab will attest to the woofer having no lack of output! ON THE BENCH After the woofer had cooled and normalized overnight, I moved to the lab and measured the small signal parameters and in-box frequency response. The parameters came in very close to the Digital Designs published specs, and well within the usual tolerances found in woofer specifications. Overall, I came away pretty impressed with the DD Audio 3510-ESP subwoofer. As previous evaluations have shown, these woofers continue to be very good-sounding, musical woofers that also happen to be able to produce some serious sound pressure. As with most true high performance products, the price reflects the performance, and at $549.00 USD, this woofer is worth the cost. So, if you are struggling with subwoofer selection, visit a DD Audio dealer and see for yourself that the compromises made don’t have to be as great as you may have thought. A full-featured and high-powered amplifier that will play your compressed audio files back in a way that you have never heard them before. ou’ve read the reviews, and followed everyone’s advice on upgrading your system. You have new speakers front and back, and a well-designed subwoofer system. Now you need power to drive everything, but space and budget are both looking tight. If you fit into that category, and particularly if you listen to a lot of compressed audio, the folks at JBL have a solution for you. With the GTR-7535 amplifier, you can drive five channels of audio, improve your system’s sound quality, and allow hands-free receiving of phone calls, all with one compact amp. Priced right around $549 in the U.S., the GTR-7535 is rated at 4x75 watts per channel into four ohms, and the sub channel is rated for up to 350 watts into two ohms. But this is an amplifier that brings a lot more than just power to the table. restores the natural warmth of vocals and extends the high frequency bandwidth, restoring your music to its original quality. You can learn more about Clarifi and hear a demo at ClarifiSound.com. Another feature that separates the GTR-7535 from most other amplifiers is the remote-mounted control panel with Bluetooth. This included accessory allows you to easily stream audio from your smartphone or other Bluetooth device directly to the amplifier. You can even receive phone calls through the audio system simply by pressing a button on the control panel. If your car is already equipped with some sort of ADAS (Advanced Driver Assistance System), the GTR amplifier can inform you with safety and navigation prompts via Bluetooth. A switch on the amplifier allows you to select which speaker is used for ADAS alerts. When an ADAS system is connected to the amplifier, the amp will automatically mute your music, broadcast the ADAS message, and then return to your tunes. And thanks to the unit’s Party Mode, anyone in the car can connect via Bluetooth and play road trip DJ! When in Party Mode, up to three devices can stream audio content without a permanent Bluetooth pairing. DEFINING THE STANDARD FOR COMPONENT SPEAKERS. AGAIN. What happens when leading audio engineers with world-class resources develop uncompromising component speaker systems without cost constraints? Audio perfection. Introducing Kappa Perfect, Infinity’s flagship line of super-accurate, super-high performance speakers. Kappa Perfect component speakers deliver high power handling, high SPL capability, and unparalleled response. They also feature high-end industrial design and available three-way configuration. With just the flick of a switch, you can transform a 2-way system into a 3-way system by adding the Kappa Perfect midrange speaker. Any audio company can aspire to perfection. But only one with Infinity’s engineering, manufacturing and testing resources can achieve it. © 2016 HARMAN International Industries, Incorporated. All rights reserved. Infinity is a trademark of HARMAN International Industries, Incorporated, registered in the United States and/or other countries. Features, specifications and appearance are subject to change without notice. ally depends on what you listen to most often, and how much compression is used in those tracks. ON THE BENCH Back on the unforgiving Cogent test bench, the JBL GTR-7535 proved to be a very good performer. It made good power, easily exceeding the rated numbers. Measured frequency response is nice and flat, regardless of load impedance, which speaks to careful design of the output filters. The crossovers were accurately marked and operated exactly as expected. The built-in over and under voltage protection worked perfectly, as did the thermal protection. The Power and Protect LED indicators are designed to allow the user to troubleshoot a specific problem via specific flashes. All the various problems are listed in the troubleshooting section of the well-written owner’s manual. CONCLUSION Anyone who listens to a lot of streamed music or has a lot of compressed music on their portable music player should strongly consider the GTR-7535 or other JBL models with Clari-Fi. For a good-sounding, uniquely-featured, compact and high-performance audio amplifier, the JBL GTR-7535 will be found at the top of the list. Maximum Efficiency at full 4 ohm power per ch. Maximum Efficiency at full 2 ohm power per ch. WE HAVE A CELL FOR EVERY NEED! MTX S6512-44 Subwoofer Review An innovative woofer that delivers both sound quality and groundpounding bass. Perfect for SQ and SPL enthusiasts alike. or those of you who are simply looking for the most boom for the buck, MTX has built the S65 square series of subwoofers. Because a square shape has a greater surface area than a round shape in the same footprint, the S65 series of woofers move more air, and we all know what that translates into. Designed for bass enthusiasts everywhere, the S6512-44 is a dual four-ohm voice coil twelveinch woofer and has a retail price of $349.95 here in the U.S.
that end the S6512 is equipped with a progressive type spider that not only allows for lots of travel but it also lowers distortion at high power levels, keeping your bass clean and pure. The patented surround is made from Santoprene, which can be easily molded to specific shapes. A combination of stitching and adhesive solidly connects it to the cone material. The woofer’s square polypropylene cone is vacuum formed into a parabolic shape, and it’s driven by a pair of two-inch copper voice coils, wound on a black anodized aluminum former. Electrical power is delivered to the voice coils through flat tinsel leads that are integrated into the spider. Connections to the amplifier are chrome plated and spring-loaded terminals that will accept up to 10-gauge wire. Magnetic energy comes from an 88 ounce ceramic magnet, covered with a nice rubber boot. Thanks to the non-vented pole piece, the woofer can be mounted in shallower enclosures as well. from Yello, Muse, and Rusted Root, it was apparent the S6512 will more than hold its own regardless of the genre or box type. But if SPL is your thing, the vented enclosure had an almost 5dB edge over the sealed box. ON THE BENCH After an overnight rest, I moved the woofer into the lab for some measurements. After double checking the cone area and wiring the coils in parallel, I mounted the S6512 in my Klippel analyzers laser stand, and measured the parameters. My measured results were right in line with my listening experience, and very similar to MTX’s published specs. MTX says the woofer will work in either 1.25-ft sealed, or 2.3-ft vented, and it definitely will. I really liked the performance in a 1.75-ft vented box too, so it seems you have some leeway in the enclosure volumes. CONCLUSION If you are looking for maximum bang for the buck, the MTX S65 series of woofers won’t disappoint. Maybe best of all, it really doesn’t matter if you’re an SQ tweak or an SPL pounder, this is a woofer than can fill both roles with success. Audison bit One HD DSP Processor Review Undoubtedly one of the finest DSP units available on the market, delivering high resolution audio perfectly to any integrated system. hen it comes to the world of DSP processing for car audio, one of the leading products for the last seven years has been the Audison bit One. Because Audison is so passionate about audio and relentlessly working towards producing ever better gear, we now have the new bit One HD. The bit One HD presents a whole new era of DSP performance, with the implementation of the most powerful DSP chipset available. Operating at 450 MHz/32 bits, the new processor provides the computing power to make the bit One HD capable of processing high resolution audio at 96 kHz/24 bits. The new flagship processor has a suggested retail price in the U.S. of around $1,700, and has already garnered a coveted EISA award. THANKS TO AN AUTOMATED CALIBRATION PROCESS, THE BIT ONE HD CAN AUTOMATICALLY ADJUST AND MAKE CORRECTIONS FOR UP TO 12 DIFFERENT CHANNELS OF INPUT, INCLUDING FIXING FACTORY EQUALIZATION AND CHANNEL DELAY ISSUES. Orion XTR4000.1D is the perfect combination for the XTRPRO woofers with its true 4000 watts RMS at 12.6 volts and 0.5 THD efficiency. anything, but it does take a little getting used to. There is a lot of functionality on that screen, so reading the manual and playing around a bit will save you from getting lost. Once you've found your bearings, there isn’t much it won’t allow you to tune, adjust, or correct. For easy, common adjustments while driving, the bitOne HD includes a DRC MP (Digital Remote Control Multimedia Play). This easy-to-use remote connects via the Audison AC Link bus, and can function as your primary volume, balance and fader control, as well as sub volume and other additional functions. For my listening session, I chose to provide signal to the bit One HD with a Sony High Resolution Audio capable source unit - in this case, the RSX-GS9. The outputs were configured to three channels: full-range on left and right, plus a subwoofer. I did play around with the crossover filters while I was listening just to see how well they worked, and they worked perfectly. I have to say the sound quality from the system is simply brilliant. If you have not experienced high resolution audio yet, and you are serious about your music, you are missing out on a great thing. Subtle nuances are always evident, and the dynamic range is amazing. The system’s ability to go from very soft to full crescendo is startling. Bass performance is solid and deep, and the system’s ability to create a realistic stereo image is uncanny. There are no untoward noise problems, and no issues with adjustments. ing available. It’s a very well thought out unit in terms of all the input and output capabilities and various modes of connectivity. Then there is the reason you buy such a product in the first place - the sonic performance. When it comes to sound quality, I think the new bit One HD is head and shoulders better than the original bit One. With 13 channels available, as well as de-equalization with FIR filters, the bit One HD could make a serious difference in any OEM configuration. I believe I heard every bit of the high resolution signal, and it sounded very good indeed. If you’re looking for a product to connect, control, and customize your sound, the bit One HD is worth a close look. JL Audio RD400/4 Amplifier Review JL Audio's technical innovation takes the 4-channel Class-D amplifier to the next level. f you are one of those people who think all amplifiers work and sound the same, the folks at JL Audio and I have news for you; they don’t. Not only are there big differences in amp designs (even within a specific topology), the sonic signatures of some of these amps can be as different as chalk and cheese. Case in point is the RD series of amplifiers from JL Audio featuring their NexD switching technology. The RD series amplifiers offer perhaps the best value of any amp in the JL Audio lineup, and are designed to meet the needs of almost any system. To give you an idea of what I’m on about, they were kind enough to send me one of their RD400/4 amplifiers for examination and review. TEST REPORT plastic bits. A top cover protects all the top-mounted adjustable controls and is removed via two hex head screws. In typical JL fashion, the round logo is left unattached, and can be installed in the appropriate orientation for the installation. A cool high-techlooking amp status LED array lets you know the status of the amplifier and lights up in a medium blue color when all is functioning correctly, or bright red if there’s an issue. The connections are all made on the front edge of the amplifier, and the terminals all fit flush with the chassis. There are no protruding terminals and nothing that could be accidentally shorted. The result is a clean and electrically safe installation. reaching the amp’s limits or making it really work hard. Bass output was strong with tight, well-behaved output, and always provided a sense of authority. I listened to it for a couple of hours, and even though I was giving my loudspeakers quite a workout, the amplifier barely got more than warm to the touch. top notch, and when I did bad things to it, the amp simply protected itself until I corrected the problem. CONCLUSION For an amplifier that is priced in the middle of the product range, the JL Audio RD400/4 is an impressive bit of kit. With a U.S. retail price of just $299.99, this amplifier is one of the best thought out products to come across my bench in a while. Thanks in no small part to the years of car audio experience and the ability to exploit today’s high speed device technology, the JL Audio RD400/4 is a solid audio performer wrapped up in a box of common sense. Memphis Car Audio VIV900.5 Amplifier Review Performance and power without sacrificing practicality or efficiency. rand-new from the folks at Memphis Car Audio comes a line of DSP-powered amplifiers, with all-new looks and leading edge technology. The new series is known as the Six Five Series, and is Memphisâ&#x20AC;&#x2122; first real foray into the DSP world. There are seven different models in the series with one-, two-, four- and fivechannel variations. All of the amplifiers have a cool new cosmetic treatment and have the controls hidden behind a magnetically-latched cover panel. For the purposes of this review, they sent us a pre-production prototype of the five-channel version, called the VIV (Six Five, get it?) 900.5.
trigger. To make signal routing simpler for installers, there is also a switch that allows you to drive the amplifier with just a single pair of inputs, or four inputs to allow fading with constant bass output. The heatsink is sized appropriately for this powerful an amplifier, and because of that and the high efficiency Class-D topology, the amplifier has excellent thermal performance, which is a sore spot for a lot of multi-channel car amps. The power and speaker connections will take generously sized cables (four- and 10-gauge, respectively) and the terminals are well-insulated and protected. When it comes to tuning the system, to complement the accurate DSP-controlled crossover filters, there is also a variable bass boost controller that can provide up to 18-dB of bass boost at 45 Hz. This filter is also designed to have a high Q factor, which means its bandwidth is narrow so as to not have a detrimental effect on adjacent frequencies. This makes it more effective as a tuning tool, and results in a deeper, tighter bottom end. Memphis amplifier sounds very natural and uncolored, regardless of the musical selection, handling dynamics and my reference woofer and full-range speakers with ease, while barely getting warm to the touch. This amplifier is exceptionally efficient, and not just at high power levels. I noticed the current draw was quite low, even when playing music at fairly loud levels. When it was all said and done, the VIV900.5 proved to be a very natural-sounding and powerful amplifier. efficiency at four ohms is better than 87 percent, which means only 13 percent of the power consumed was lost to heating. At one-third power, where we do most of our listening, and many amplifiers struggle to hit 50 percent, the VIV900.5 came in at 80.7 percent! I am a fan of this amplifier. It’s wellmade, sounds good, has a lot of adjustability, and can easily be interfaced into almost any type of installation. If you’re in the market for a high-performance multichannel amplifier that can drive your whole system with only one chassis, the Memphis VIV900.5 should be high on your list of amps to audition. Kicker CompRT Subwoofer System Review	Reliable, ground-pounding bass power in a format that will fit into the tighest of spaces in your vehicle. rom their world headquarters in Stillwater, Oklahoma, the Kicker brand of car audio continues to turn out revolutionary problem solving new products. If you have ever wanted to install a ground pounding subwoofer system in your vehicle, but couldn’t overcome space constraints, this one’s for you. By utilizing their “Reflex Subwoofer” technology and advanced enclosure construction, Kicker has solved the space constraint problem for a lot of people. The new CompRT loaded enclosures are some of the thinnest fully-finished enclosures available. Thanks to the implementation of a passive radiator with the Reflex Subwoofer technology, these incredibly space-saving systems can provide all the bass you’ve been waiting for. The CompRT loaded enclosures are available in three sizes, eight, 10, and 12 inches, and each size can be had in either two- or four-ohm configurations. For our review, they graciously sent a 12-inch, two-ohm version, known as the TCWRT122. This system has a retail price of $349.95 in the U.S. and is designed to handle a 500watt amplifier. FEATURES The shallow depth system is based around one of Kicker’s CompRT shallow-mount woofers, coupled with a specially designed passive radiator. Both elements use Kicker’s ribbed Santoprene surrounds and reinforced polypropylene flat cones. The enclosure is manufactured from medium density fiberboard (MDF) and uses rugged internal bracing to keep it rigid and resonance free. So, why a passive radiator instead of a typical port? A passive radiator system works very similar to a typical ported enclosure, but has a few significant differences. To be sure, designing a properly tuned passive radiator is more complex and expensive than standard ports, however, many ported systems with typical sub enclosure low frequency tuning lack the ability to displace the large volumes of air necessary when the woofer is operating near full excursion. This is because the port volume is almost always too small for the amount of air to be moved at high power levels. By the time you get the port volume large enough to displace the required air volume, the ports are too long to fit in the vehicle! This is where the passive radiator comes in. Although it may not be readily apparent, passive radiators work on the same principle as a port. The air inside a sealed box is compressible, but then it “springs” back. This pushing back effect is called “compliance,” and mechanically it’s much like a spring. Any spring will have a resonance frequency. If you hang a weight on the end of the spring, it will oscillate slower, or at a lower frequency. Increase the weight, and you lower the frequency further. The same thing goes for a passive radiator. The tuning is accomplished by carefully adjusting the compliance and the moving mass. Only now, you don’t have to worry about losing output to inadequate port sizes because the passive radiators can have massive excursion capability. QUICK TECH SPECS well known. The song is BTO’s Not Fragile. Produced in the early ‘70s, this was one of the first recordings I have ever heard that had really well-recorded low bass on it. In the beginning of this track, bassist Fred Turner lays down a deep groove that’s continued throughout most of the song. Between Fred’s bass and Rob Bachman’s kick drum and floor tom work, the track is pretty telling of a woofer’s ability to reproduce rapid changes in deep bass notes. The slim Kicker system proved easily up to the task, with very good attack and decay, and a naturalsounding timbre. A truly musical woofer needs to be articulate and have the ability to not just boom, but also to reproduce all the intricate details that can be found in the bass portion of music. In this area, the shallow system really rose to the occasion. Using a bunch of different tracks, like Rickie Lee Jones’ Danny’s All Star Joint, or Imelda May’s Johnny Got a Boom Boom with expertly played plucked stand-up bass, the sonics of the system were impressive. and the impedance curve recorded, my measurements reinforced what I had heard the day before. The shallow-mount woofer system has good output from about 40 Hz to over 150 Hz. When you factor in the typical transfer function of a car, there will be great output all the way down to the lowest registers. The impedance curve looked exactly as you’d expect with two pronounced impedance peaks on each side of the passive radiators resonant frequency (see the provided graphs). CONCLUSION If you have been going without strong, deep bass in your ride because you couldn’t fit a typical enclosure in your available space, this system is going to make you a happy camper. For roughly the price of a good single woofer, you get a properly-built, accuratelytuned, fully-functional system. The incredibly shallow design will fit in almost any vehicle, and the 500-watt power handling capability provides great reliability, as well as plenty of output for almost anyone. What more can you ask for? Kenwood DRV-410 Dashboard Camera This dashcam from Kenwood records high quality video in a variety of light settings, and comes with bonus safety features to boot. safety related functions built into the Kenwood camera as well. For example, if you are traveling over 40 mph and your car drifts into an adjacent lane, the unit will beep to alert you. If you become too close to the car in front of you, the collision avoidance warning will sound, giving you time to brake and avoid a collision. It will even remind you that the traffic in front of you has moved when waiting at a stop light, or if your car has begun to roll backward, should you become distracted. In case of an unexpected interruption of the power, there are internal super capacitor power supplies that retain power long enough for the video file to be closed properly, instead of getting corrupted and becoming useless. With the introduction of the Kenwood DRV-410, there is a simple easy-to-use camera that can not only provide peace of mind and critical evidence if needed, but its safety warnings can keep you out of trouble during your daily commute. The DRV-410 sells for around $200 in the U.S. and is available at your local Kenwood dealer. Recognized in 34 countries around the world, IASCA is more than car audio competition. High-profile industry members and retail dealers use IASCA’s marketing ability to push business to their stores as well. When it comes to competition, IASCA is about helping you gain the knowledge required to improve your system, with score sheets showing competitors the strong points of their setup, as well as showing where there is room for improvement. With sanctioned affiliates across to globe, as well as across the United States, USACI takes global audio competition seriously. With certified judges and championship rings planned for 2017, their series of sanctioned competitions is one to watch. Beginning with their first contest in 1995, dBDRA was created to put fun and excitement back into the auto sound competition arena. With over 10,000 sanctioned events to date in more than 40 countries around the world, dBDRA is an industry leader in serious car audio competition. MECA is both a club and a mobile electronics contest organization. The organizing body hosts car shows and competitions complete with music and contests. Their shows feature varying levels of competition, including everything from Show & Shine, Sound Quality League, Sound Pressure League, and even a Ride the Light specialty lighting contest which makes for a great night-time event. They even have a MECA Kids contest using Power Wheels toys!